If you want your Wedding to go with a swing - think about hiring a Wedding Singer. Some sweet background sounds will add a touch of sophistication to your Wedding Breakfast, but come the evening, your Wedding Singer will know how to encourage your guests to share in the fun on the dance floor. Talented, experienced singers know how to build the atmosphere and shift the mood up a gear. Their hard won experience and personal attributes make them charming, confident and engaging, so you can entrust them to keep the party mood upbeat and joyful. Once you have reviewed a few singers and perused their repertoire you'll be relieved to learn it's quite simple to arrange a Singer for your special day. Your chosen singer will be very happy to talk through ideas for the performance, favourite songs and whether you want backing music, backing singers, or a whole backing band. Professional, joyful and happy to help you celebrate - a Wedding Singer will only add to the festivities! Find a Wedding Singer for hire near you in minutes! Option 1. Enter your event location below & contact a Wedding Singer directly! Option 2. Request multiple quotes from available Wedding Singers Get Quotes! Option 3. Read information & advice on hiring Wedding Singers Read Advice! When it comes to your wedding, every single detail matters - everything has to be just perfect to create that wonderful day-of-a-lifetime. Few of the decisions you make about your wedding will make as much of an impact as the music you choose. From the ceremony, to the wedding breakfast and evening entertainment, a wedding singer can totally change the ambiance and mood, and add sophistication, emotion and magic. A guge selection of both Male & Female Singers are listed on Entertainers Worldwide and available to book for weddings and other events. We have a huge choice of fantastically talented and experienced singers in our directory, with everything from Vintage singers to Classical & Opera singers. 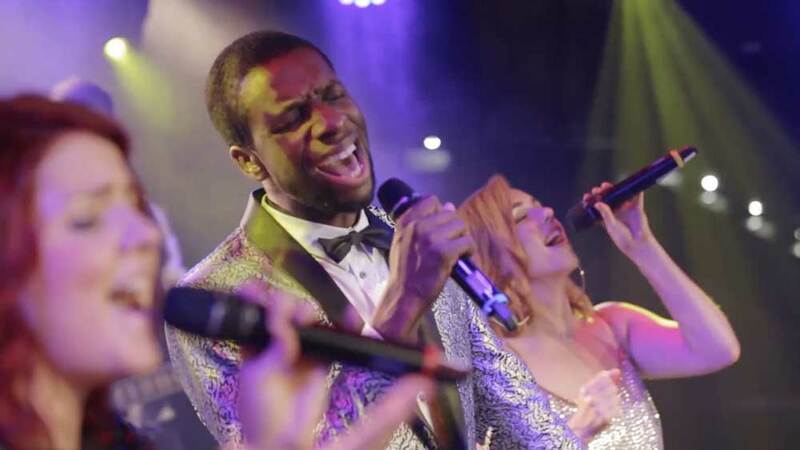 To help you decide if a wedding vocalist is right for your incredible day, we’ve covered the basics below, but if you want the full low-down on everything from how much space they will need to how long their set will be, then take a look at our Complete Guide to Booking a Singer. IS WEDDING SINGER RIGHT FOR MY EVENT? Music is a fundamental part of any wedding and can be provided by a DJ, band or soloist. So which one is right for your event? This will depend on the size of your venue, your budget and the type of atmosphere you want to create on your wonderful day. A wedding singer can often perform the same function as a DJ or a live band, depending on their accompaniment, and require little space to perform. These are some of the ways in which a wedding vocalist can set the scene and create the right mood at your wedding. For classic beauty and elegance, nothing quite compares to having a singer perform a beautiful aria as the bride makes her first entrance and walks down the aisle. Opera singers are a popular choice for the main ceremony, as well as singers accompanied by acoustic guitar or piano playing a romantic, contemporary classic. Whatever your favourite, meaningful song, our talented vocalists can deliver it in a way that will bring timeless sophistication to your ceremony. Having a singer to provide a musical backdrop as the guests arrive for the drinks reception can really set the tone and create a joyful atmosphere that can be carried all the way through the main meal. Singers can prove to be a good way to stretch your budget in this respect, since their repertoire is often flexible enough to cater for every stage of your wedding, from the ceremony to the evening reception. Having great music at the evening reception is unquestionably the key to having a fun and joyful day. Wedding singers can be a great way to get your guests up on their feet after the meal and they can sing everything from your show-stopping first dance, to classics that will bring the parents and grandparents to the dance floor. If your wedding has a theme, a wedding vocalist can really bring this out in the evening, whether it’s rock and roll or vintage music. WHAT SORT OF WEDDING SINGER DO I NEED? Firstly, consider when you would like your singer to perform. You may want to book an Opera singer for your ceremony, and a Motown or Jazz singer for your evening reception. You may also decide to book a singer for the whole day, in which case someone with a very flexible tone and repertoire would be a great choice. If you’re setting your wedding around a particular theme you may also want to book one of our specialist singers, who have just the right look for a vintage or rock & roll wedding. Whatever style or act type you need we have a wealth of wonderfully gifted singers in our directory, covering everything from Jazz and Swing, to Big Band and Ratpack, as well as all eras from the 1920s to contemporary chart songs. HOW MUCH WILL A WEDDING SINGER COST? The main thing you will need to consider is your budget. The cost to hire a wedding singer will depend on whether they have a backing band, and how big it is, as well as how many years they’ve been working. As an overview, a two or three person set-up would be around £300 to £500 in the UK ($500 in the U.S. and €600 in Europe). For a 4 or 5-piece band you can expect to pay between £1000 and £2000 in the UK ($1000-$2000 in the U.S. and 600€-1200€ in Europe), and a solo artist will be in the region of £300 - £500 in the UK ($500 in the U.S. and €600 in Europe). Since the prices do vary widely, we highly recommend getting in touch with your chosen performers for a completely free, no-obligation quote. There are plenty of practical considerations that you should keep in mind when booking a wedding singer, from the size of the area you have, to the length of the set and your budget. We’ve got all of this covered in our extensive article ‘Your Complete Guide to Booking a Singer’. Just take a look to find out everything you could ever need to know about the whens, wheres and hows of hiring one of our amazing acts for your event. The quickest way to find the right singer in your area is to use our search function. Just add your location and the type of singer you need and click search to see a huge variety of acts to choose from. Our latest testimonials are a fantastic way to start getting some ideas for your shortlist. Even better, if you would rather entertainers came to you, you can request multiple quotes here, and this service is completely free! We know the perfect wedding singer is on here waiting to make your day beautiful and memorable and we hope you enjoy your search, but do contact us if you need any help. WANT TO RECEIVE A RANGE OF QUOTES FROM Wedding Singers?